This Revolutionary War-era battlefield is where troops under General George Washington routed British Regulars on January 3, 1777, ending a ten-day campaign that began with Washington’s crossing of the Delaware and turned the tide in the war for American independence. The battle occurred in central New Jersey amidst farms, cultivated fields, and orchards, just southwest of what was then the village of Princeton. 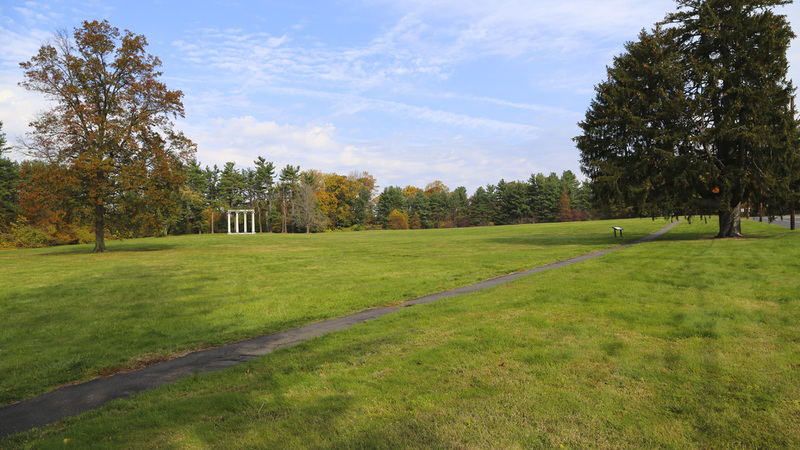 In 1946, the Princeton Battlefield State Park was established on roughly 40 acres and included the historic Thomas Clarke House (built in 1772) where General Hugh Mercer died of wounds inflicted during the battle. Amid the park’s open field, the Mercer Oak (toppled by wind in 2000) long marked the place where Mercer reputedly fell. In 1976 some 35 acres were added to the park and the Clarke House opened as a museum, with five more acres added on the north in 2015. The state park is bisected by Mercer Road, built in 1807. 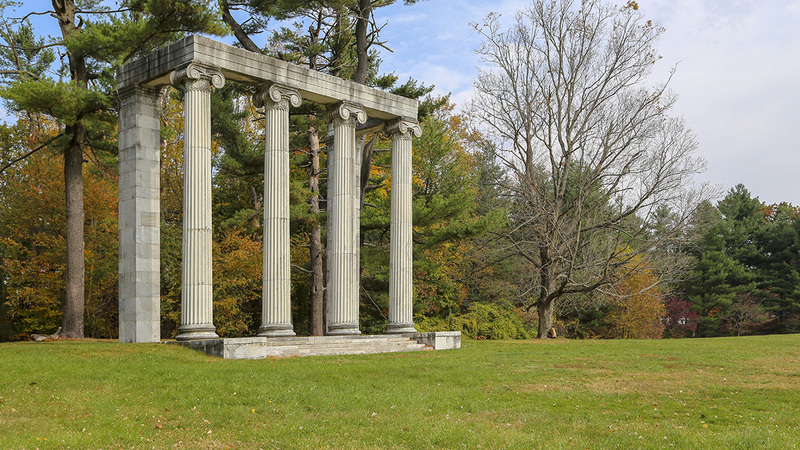 On the north side of the park, an Ionic colonnade designed by Thomas U. Walter in 1836 (originally as the façade of a Philadelphia residence, but later incorporated into the nearby Mercer Manor) marks the gravesites of British and American troops. To the east, adjacent to the park and under private ownership, lies the 22-acre parcel know as Maxwell’s Field, a site of heavy fighting. 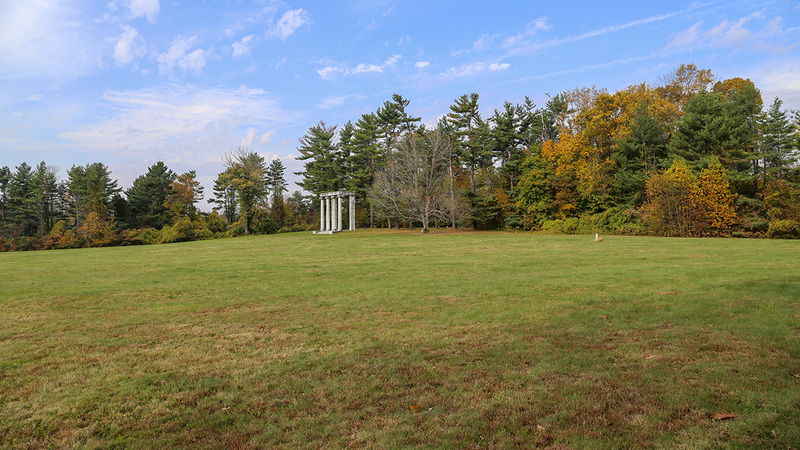 In 1966, Princeton Battlefield State Park was listed in the National Register of Historic Places and designated a National Historic Landmark. 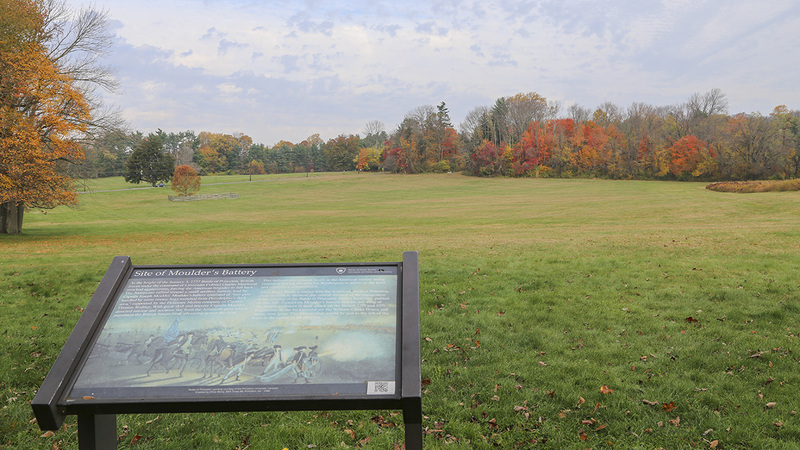 The Princeton Battlefield-Stony Brook Village Historic District, which includes the park, encompasses some 2,850 acres.